Best investing in BCH, I would not invest in BTC it's been setup to destroy itself. I have a little BTC and kept hold of the BTG since the fork, just incase something happens with that. I've had to sell all the ETH and ETC I had to raise money since the misses has been out of work for the last 3 months. BTC heading for massive correction, theirs a scandal building at minute with Tether, which is basically digital USD created like banks create money out of thin air. It's pumping up BTC price, the increases from 8K dollars to price now, is basically because of Tether pumping. 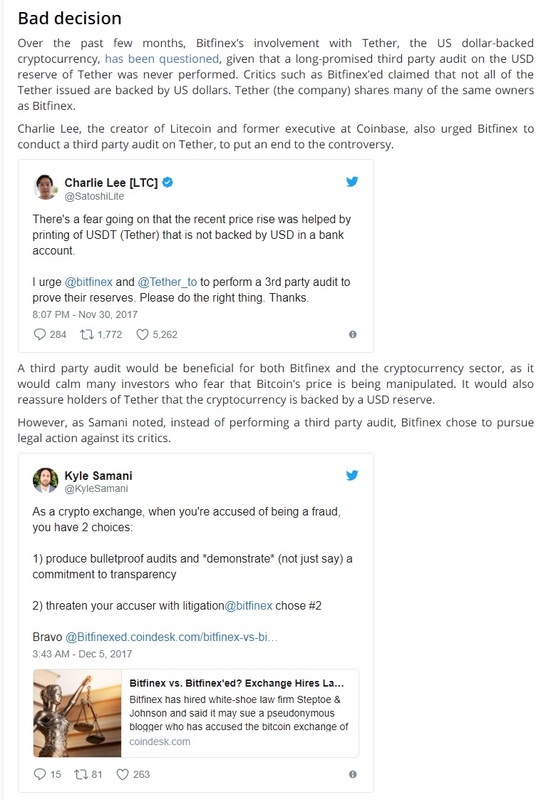 Exchange bitfenix calls for it to be audited to see if the money exists to every Tether created? it's meant be 1 USD to 1 Tether, now theirs serious doubts any of the dollars actually exist. If they don't guess where price is heading? Last edited by k3vst3r; 06-12-17, 14:16. BTC now locked in on difficulty adjustment for next 2 weeks roughly. Anybody using nicehash here still? their main wallet has been hacked bye bye 20 or so BTC they had stored. Last edited by k3vst3r; 06-12-17, 17:52. Is that bitfinex as in the PC case manufacturer? Believe it's different company, but could be wrong. I used NiceHash briefly, but wasn't getting a decent return so I switched back to zCash. Where's 5000 figure coming from? The link above was their main wallet from what I was told. 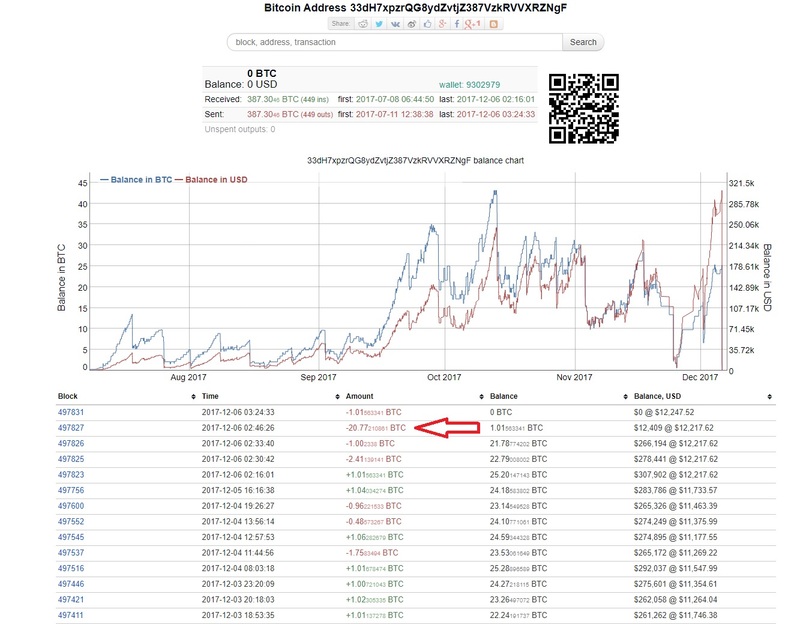 I see movement of 20 BTC which looks odd, rest look like normal client payments. Dated 6th date they was hacked? rest dated before when not hacked.